In partnership with Tim Hortons—a coffee roaster and Canada’s largest quick-serve chain—we are implementing a sustainable coffee growing program in Colombia under the Coffee Partnership Program. We are putting our money on the strength of economic and social development, centered around empowering coffee-growing families so that they can drive their own development. We began in 2009 by supporting the formation of farmers’ groups in El Aguila, a municipality in the department of Valle del Cauca. So far, 11 farmer organizations have been established and consolidated in communities in three departments: Valle del Cauca, Risaralda and Caldas. A total of 800 families are now involved. The number continues to grow steadily, as those participating and their neighbors observe that individual families are faring better when they work together. The program supports the farmers’ energetic entrepreneurial approach in the following ways: provision of microcredit funds for ongoing improvement of the farms; establishment of a direct relationship with an exporting company; provision of working capital arranged with the exporter for gathering the coffee from the farmers and getting it to the exporter; the launching of the Coffee Partnership Blend by Tim Hortons; and the provision of working capital and technical advice from the government. The program’s ultimate goal is broader than simply ensuring that coffee production is sustainable. New lines of work, such as adaptation to climate change, have been added as new actors, such as the FNC, IDH, Solidaridad, SOCODEVI, the Initiative for coffee&climate, and CENICAFE, have become involved. 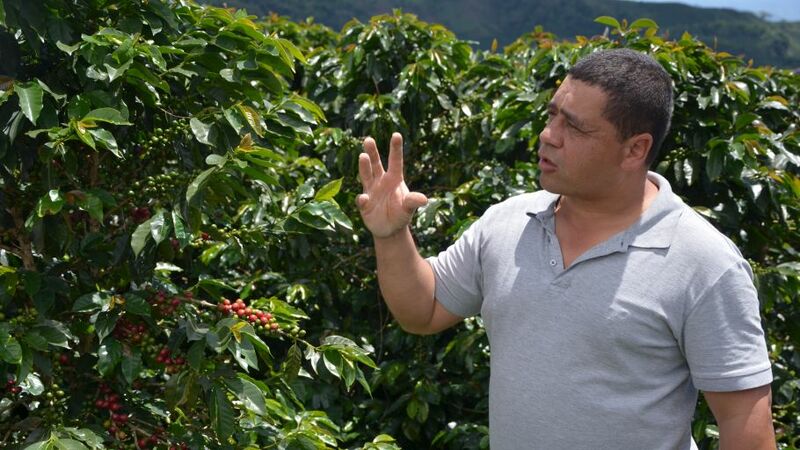 We now all work together to ensure not only the sector’s sustainability, but also coffee growing families’ long-term resilience in the face of climate change and global economic changes.